You know when you touch a thorny weed because it hurts! 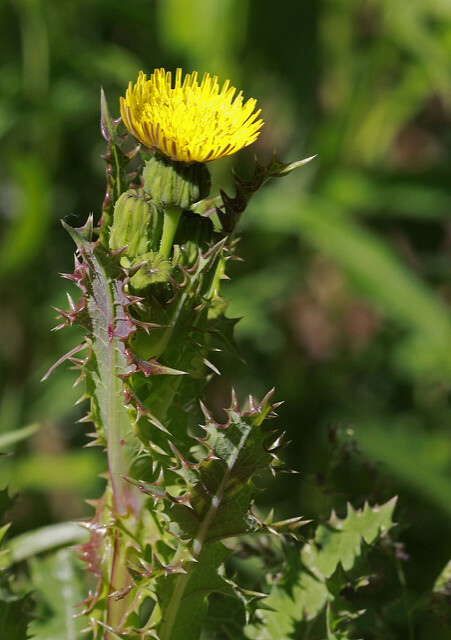 But technically, botanists identify those “thorns” on weeds as spines or prickles. 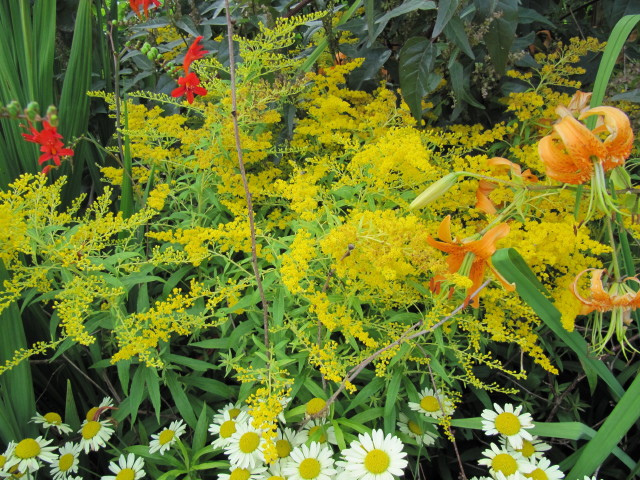 They not only give gardeners pause, but also help protect plants from animal damage. 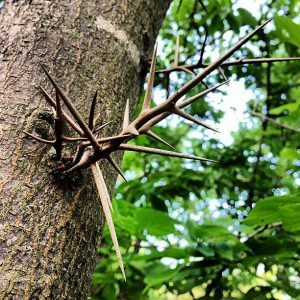 Thorns, spines, and prickles appear on different plant parts and can help with identification. 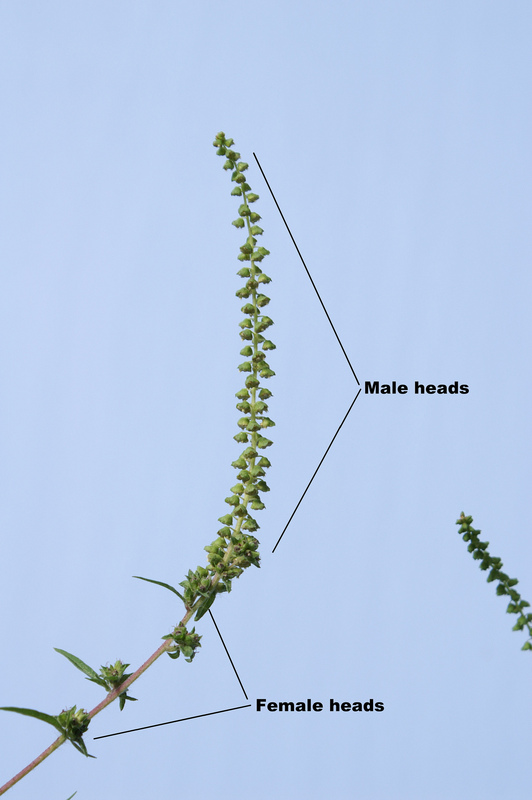 Spines are modified leaves, leaflets, petioles, or stipules. Think cactus or thistles. Prickles are modified epidural (outer) cells found on blackberry, raspberry, and rose stems. True thorns are modified stems or branches—like those on honey locust trees (Gleditsia triacanthos)—that are long, wicked-looking things, capable of serious damage. To gardeners who get their fingers stuck while weeding, it matters not if that weed has spines, prickles, or thorns. It still hurts! 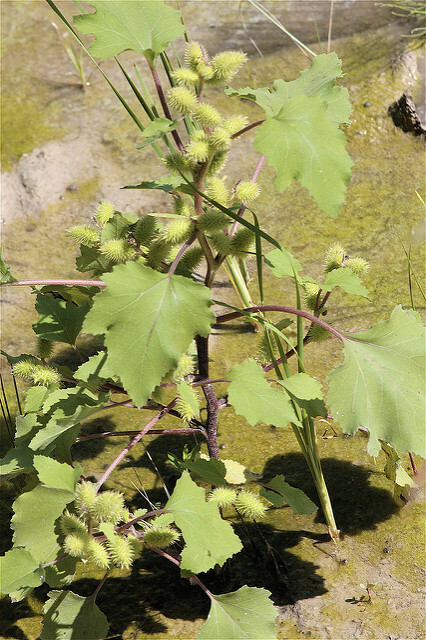 Common cocklebur (Xanthium strumarium) is a native summer annual. It has alternate, triangular leaves and the stems have spots ranging from maroon to black. The oval shaped fruit (bur) is covered with spines. 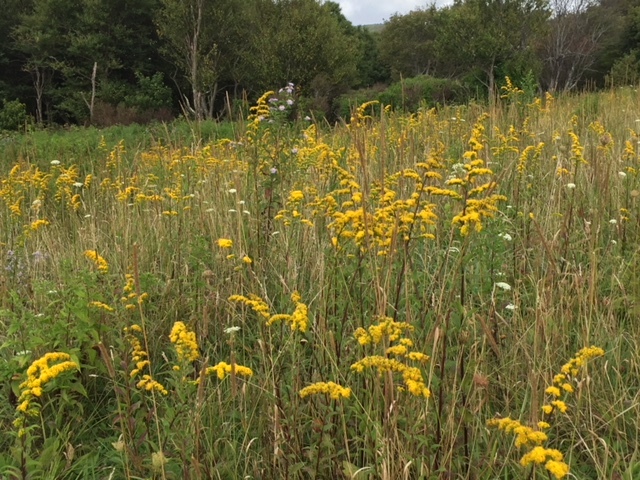 Burs start out green and turn brown in the fall. Each bur has two seeds—one growing the first year, with the second seed growing the next year. Cockleburs are spread by the burs hitching rides on animals and humans. They can be found in fields, roadsides, and wasteland. Burrweed or spurweed (Soliva sessilis) is an annual winter weed found in lawns, mostly along the coast and in Piedmont N.C. It has low ferny foliage and sharp, spiny seed pods that ripen in spring and hurt your feet if you step on them barefoot. 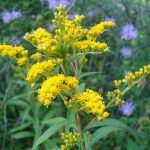 It is an early source of food for honey bees and other pollinators. 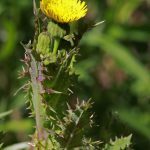 Spiny sowthistle (Sonchus asper) is a summer annual weed with deeply notched and wavy leaves with sharp spines on leaf margins. 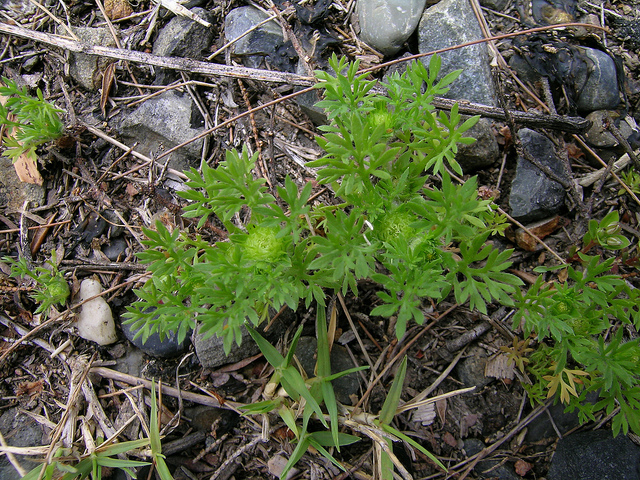 The young plant is a basal rosette (leaves radiating from the base of the stem and usually close to the ground). 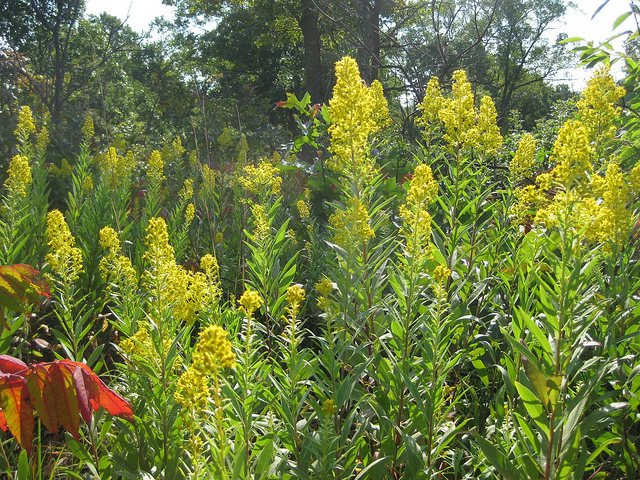 Older plants have an upright flowering stem (yellow flowers). It flowers in late spring into summer. It has alternately arranged oval leaves. Crushed leaves or stems produce a milky white latex. 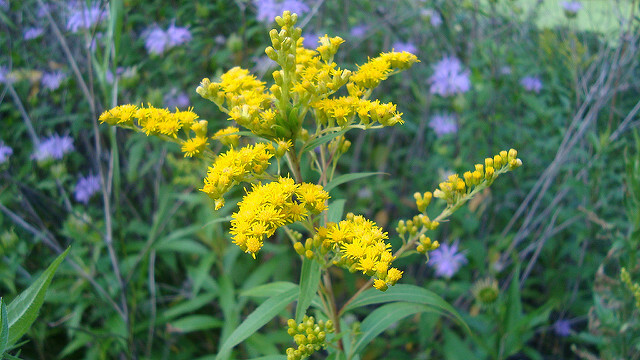 It is found in lawns, waste areas, and roadsides. 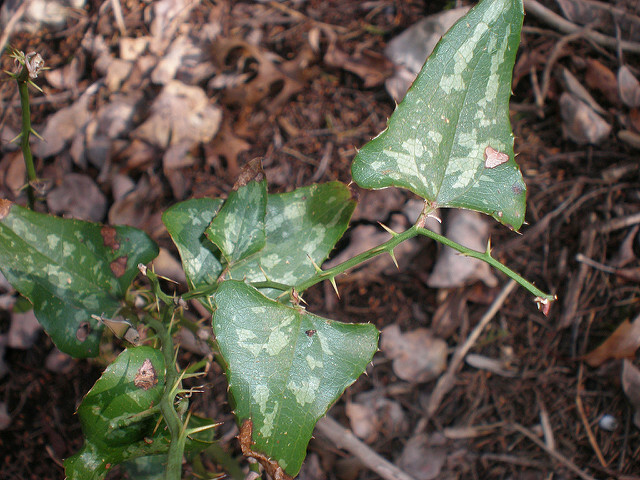 Perennial catbrier or greenbrier vines (Smilax) include some of the “ouchiest” of weeds you may face here in Western North Carolina. These are native vines that are desirable wildlife food—rabbits eat the new shoot, deer browse the leaves, and birds eat the fruits—but may not be welcome in your garden. 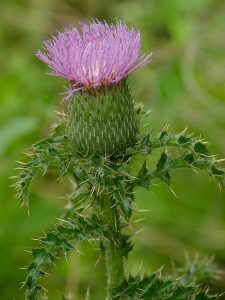 Thistles (Cirsium) are members of the Asteraceae (aster) family and are native to North America, Europe, and Western Asia. The European invasive bull thistle (Cirsium vulgare) is found throughout the United States and Canada. While these weeds mostly show up in pastures, agricultural fields, and roadsides, they can invade the garden. 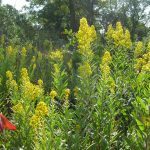 When dealing with any of these “ouchy” plants, it is best to wear thick gloves and approach with caution. Control vines by digging the tubers or rhizomes. 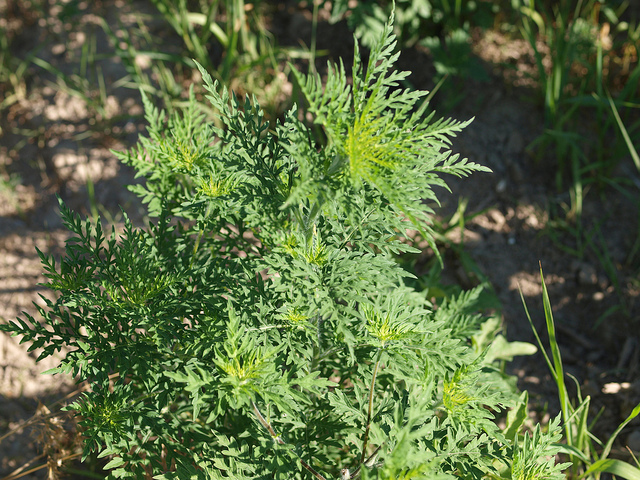 Repeated cutting back and applying a drop of herbicide to the cut stem are also effective. Maintain a layer of mulch in the garden to retard weed growth. Scout for and manually pull weeds when they are small and especially when the ground is soft after a rain. 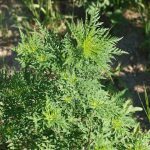 Controlling the Weedy Creepers: It’s Not for the Faint of Heart! 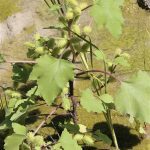 Creeping Charlie, Indian mock strawberry, smilax—these innocent-sounding names describe creeping broadleaf weeds that can quickly cause problems in your landscape! 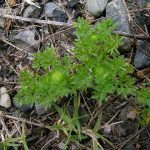 These ubiquitous plants, once established, are difficult to eradicate. So, what’s a gardener to do? This mint family (Lamiaceae) member is a vigorous invasive weed European settlers brought for food and medicinal purposes. Today we consider it an uninvited guest! Identifying characteristics: The opposite leaves are scalloped, roundish, or kidney-shaped, and heart-shaped at the base of the square stems. In the spring, creeping Charlie produces blue-violet funnel-shaped flowers in whorls at its leaf axils. It “creeps” by vining stems that take root at leaf nodes. 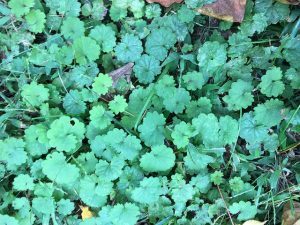 Be careful not to confuse it with the similar-looking button weed or common mallow (Malva neglecta), which has round stems and alternate leaves; or the annual henbit (Lamium amplexicaule), a winter-blooming plant with pink flowers that may sprawl but does not root at the stem nodes. Growing conditions: Creeping Charlie prefers moist soil and shade, but also grows in the sun. Its presence may indicate too much shade, too much moisture, and/or poor fertility. Control: Improve surface drainage, aeration, and water less frequently. In a lawn, healthy turf can be your first line of defense. In gardens and open areas, mulch is your best deterrent. 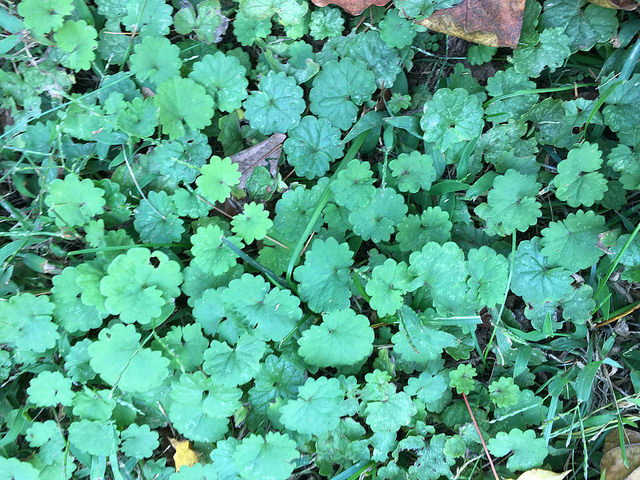 When discovered early, hand-weeding is a good option, but do not put creeping Charlie in the compost pile! 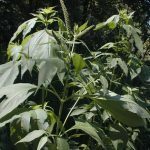 As a last resort, treat out-of-control infestations with a broad-leaf weed killer in the fall; treat in spring only when the plants are in bloom. Check with the Extension service for recommended chemicals. Introduced to the United States as a decorative plant with medicinal properties, this Asian native resembles “real” strawberry plants. Identifying characteristics: Indian mock strawberry spreads using hairy stolons or runners and reproduces by seed. 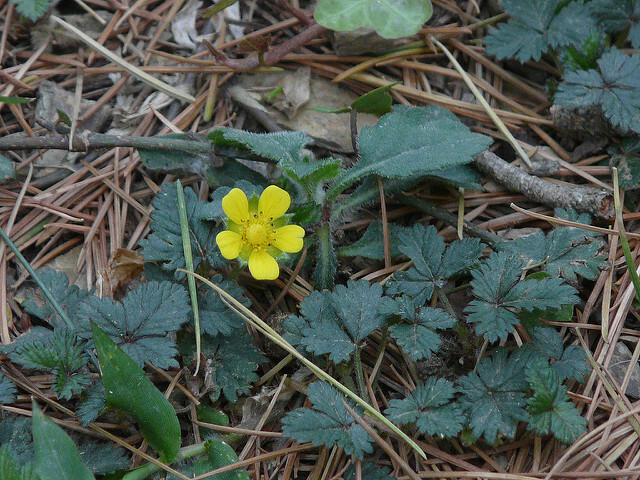 Its blossoms are yellow; true strawberry flowers are white or pink. In addition, mock strawberry leaves have rounded “teeth”; the teeth on cultivated or wild strawberry leaves are pointed. Growing conditions: Indian mock strawberries like moist conditions, are shade tolerant, and close mowing is not a deterrent. Control: As with creeping Charlie, healthy turf and mulch are two of the best ways to control and prevent infestations. Hand-pulling will take care of the problem if the infestation is small or plants are young. These are native plants in the Liliacae family (which also includes daylilies, lilies, and yuccas). Most are woody vines, some deciduous, others are evergreen; many have thorny stems. 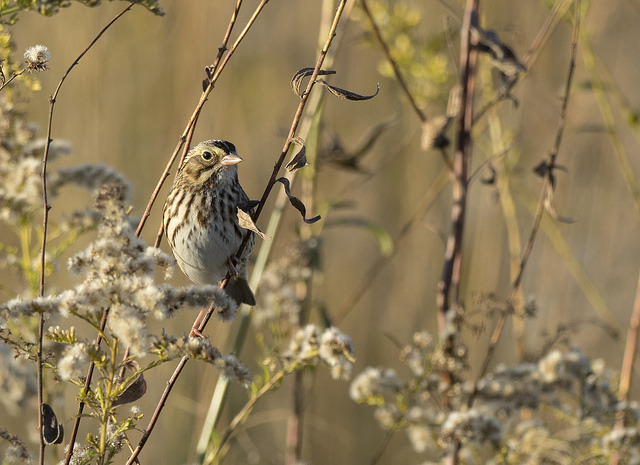 Some are ornamental, while others are just plain weedy, but all are valuable wildlife plants providing food and cover for many species of birds and mammals. Identifying characteristics. 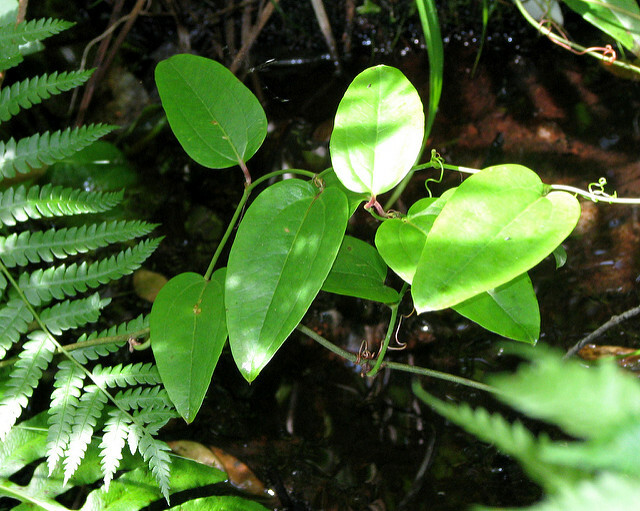 Smilax have well-developed underground rhizomes or tubers and most species climb using tendrils. 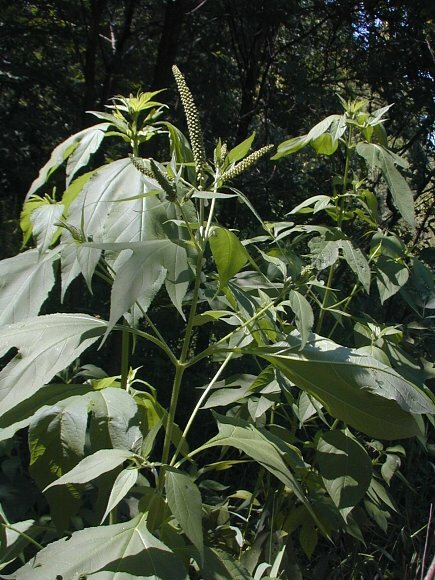 The most common species in WNC have ovate or lance-shaped alternate green leaves; stems are round and frequently prickly. 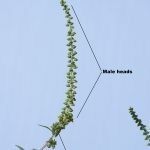 Female plants have small greenish-yellow flowers in the spring and early summer that produce blue-black berries in the fall. Growing conditions: Smilax isn’t particularly picky. You’ll find it along roadsides, clearings, and woods where there is partial or even deep shade. 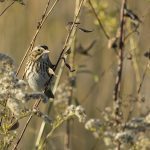 Birds eating the berries facilitate seed dispersal. Control: The plants’ extensive rhizomes make them very difficult to control. Dig plants removing as much of the root system as possible. Although the vines quickly regenerate when cut back, you can keep them from overwhelming other plants by frequent trimming. 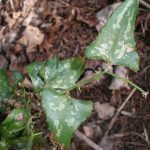 Also, smilax leaves are a favorite white-tailed deer food, so having these vines in your landscape might help spare your hostas or other ornamental plants!